It is hoped the new facilities will attract more people to the area and perhaps persuade them to settle there. All community funds from Western Isles Lifestyle Lottery ticket sales until the end of the year from Uig/Lochs/Breasclete will go towards an Uig Community Centre project to fill the gap in facilities for young children in the area and boost playtime at the busy community hub. The committee who run the popular centre, which includes a seasonal café and museum, are looking to improve amenities for pre-school children by purchasing soft play equipment and large play items for indoor play. 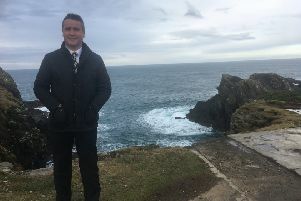 Striving to attract more families to visit and to settle in this beautiful part of the Isle of Lewis, the committee have identified a gap in the services they provide. A spokesperson for the Uig Community Centre Association said: “We need people in Uig and providing small things such as more play facilities would make a huge difference for resident families and visitors alike. “If we could provide good quality, larger items for soft play and physical activity for the wet and windy days, this would create opportunities for interaction, stimulation and socialisation for the families who live locally all year round. “It would also be of benefit for visitors who could pass some time at the cafe and museum which, along with the large community hall, are part of the complex run by Uig Community Centre Association. The Centre has been chosen as the first project in the Uig/Lochs/Breasclete area to benefit from funds from the Western Isles Lifestyle Lottery launched three months ago. Funds for this area are distributed by the Muaitheabhal Trust and Friends and all funds from tickets sales will go towards the Centre’s project from now until the end of the year. Residents in this area can directly benefit the project by taking part in the lottery and be in with a chance of winning a weekly cash prize. Tickets can be purchased by visiting www.westernisleslottery.co.uk or call 0300 30 20 444. To date, more than £9,200 has been raised.